As the intro, full of screams and grating metal, plays over the PA, the crowd begins to scream in anticipation of seeing the premier Extreme Metal band, Behemoth, perform their masterpiece, The Satanist, in its entirety. To add some perspective, this reviewer was first introduced to Behemoth twenty years ago with the album Pandemonic Incantations. Being far from blown away, the band was filed in the mental slot made for competent, though unexciting Metal. A lot can change in twenty years, and it is with the greatest pleasure to proclaim the band have not only found a sound that is original to them, but also the apex of Extreme Metal. Now into their 27th year of existence and hailing from Gdánsk, Poland, the average band of yesteryear is today’s gargantuan Behemoth. At the 2:30 mark, the band fully comes alive playing the first track, “Blow Your Trumpets Gabriel.” No matter one’s religious preference or creed, one has to give Nergal and company credit for creating an ethos that is diametrically opposed to Christianity in such a polished, refined way. This isn’t a band trying to elicit shock value, but rather the vehicle with which Nergal, the blackened, diabolical St. Paul, spreads his message of hatred toward organized religion. One cannot help but be impressed with how a band that sounds so huge on studio recordings is able to transfer that into an equally massive live performance. The energy is increased with the third track, “Messe Noire,” with its creepy dissonant guitar parts over blast beats and expertly executed tremolo picking over syncopated palm-muted chords. The fourth track, “Ora Pro Nobis Lucifer,” contains the traditional Blackened Death Metal sound that Behemoth have perfected over the years made into a flammable exciting live feat, especially at the 4:00 mark where the band kicks into extra-brutal mode without losing any of its intensity. It truly is a testament not only to Behemoth‘s technical proficiency but also to their shared vision to be able to throw down live as such without losing any adrenaline or meat in the music. “Ben Sahar,” the seventh track, showcases the counter play of one guitar picking diminished passages and the other giving the sound some extra beef with chunky chords, and all the while, the bass deftly grinds against the melody underneath. It’s in the contrasting parts that Behemoth mint their treasure: volume, speed, and intensity faced with their opposites give added dynamics all the while. The closer, “O Father, O Satan, O Sun,” is the perfect ending both live and in the studio and the chills one gets when the bass comes mightily in are priceless. As previously mentioned, Behemoth capitalize on dynamics in sculpting their sound. The contrasts between blast beats with slow riffs, slow drums with tremolo picking, and other such opposites give the music breathing room. This is truly how the band is able to so adeptly deliver their music in the live setting. Often less is more, and in stacking such dynamics the sound is grown to even bigger proportions. The guitars are equalized perfectly with the right amount of bass, mid-level, and treble, and the distortion is dialed into the right amount to give ample chunk yet still deliver clarity, particularly on the tremolo picking passages. Unlike other Extreme Metal bands, the bass is thankfully not hidden in their sound, and its sound is truly massive as it conjures its own twisted vibes underneath the guitars. The drums are expertly executed providing distinct and solid blasts, interesting fills, and impressive cymbal work. Nergal’s voice is decipherable, not completely clean or dirty, yet truly unique adding the right amount of emphasis to the instrumental compositions. Behemoth have managed to marry the massive octave riffs of early Morbid Angel with the complex guitar harmonies via counterpoint composed by Emperor and add a unique, perfectly polished dimension to create timeless Extreme Metal. In execution, diversity, and repetition, the band perfects their sound. 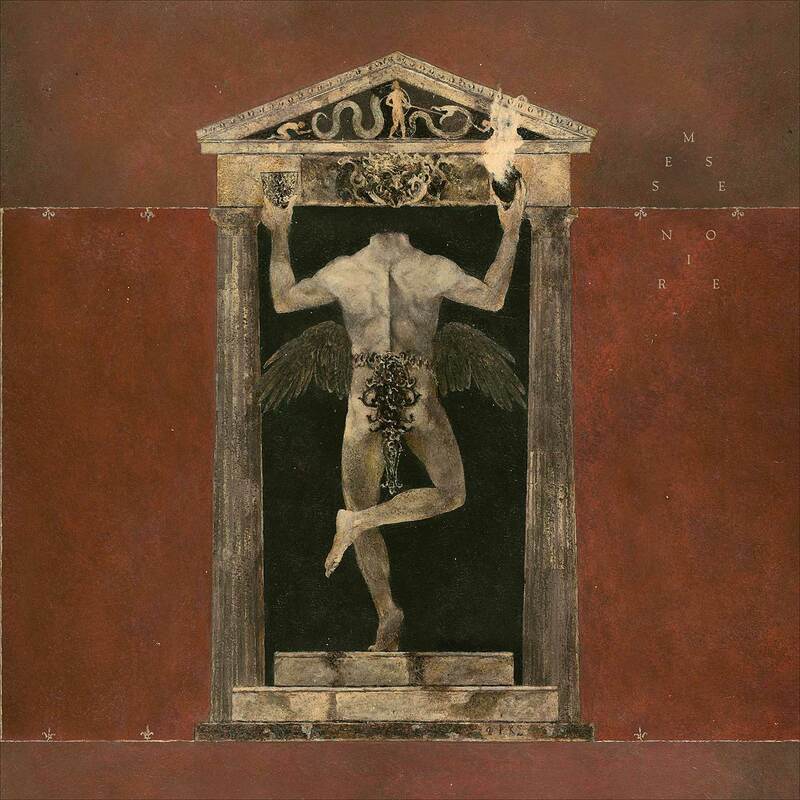 Simply put, Behemoth are the gold standard for Extreme Metal in this day and age, the truly elite, and this live album sits next to “Live After Death,” “Decade of Aggression,” and “Unleashed in the East” in its accurate reflection of the live experience.